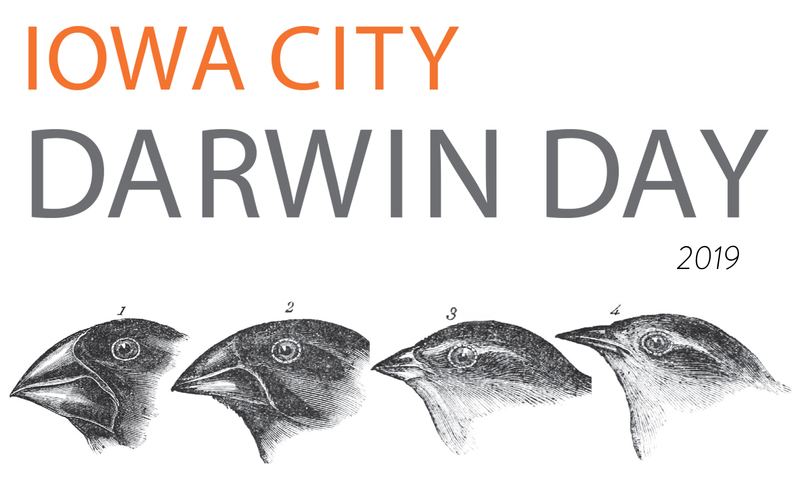 Iowa City Darwin Day is a grand celebration of science and its many contributions to humanity! As in previous years, this year we welcome a slate of world-renowned scientists who will share their research in a series of professional seminars and public talks over two days. 1:00 pm Darwin's Birthday Party in the Hageboeck Hall of Birds. 3:00 pm Screening of the movie Contagion and discussion with Sharon DeWitte at FilmScene.